Hackathon challenges and available data online. 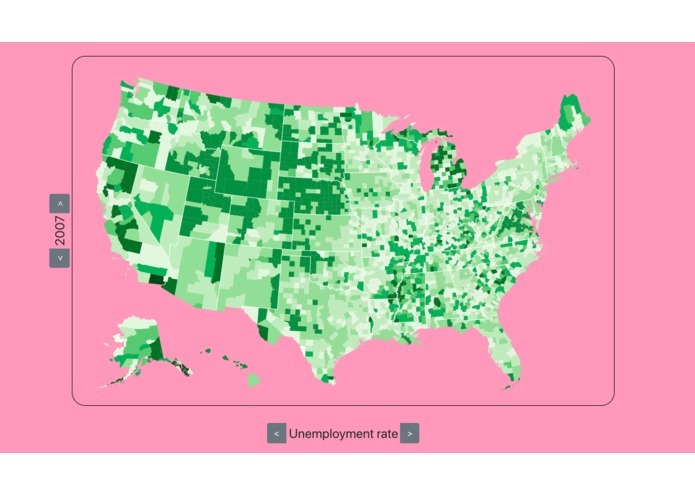 Provides data visualization for socioeconomic statistics in the US such as: poverty rates, employment, tax rates, median income, mortgage rates, education, and crime. 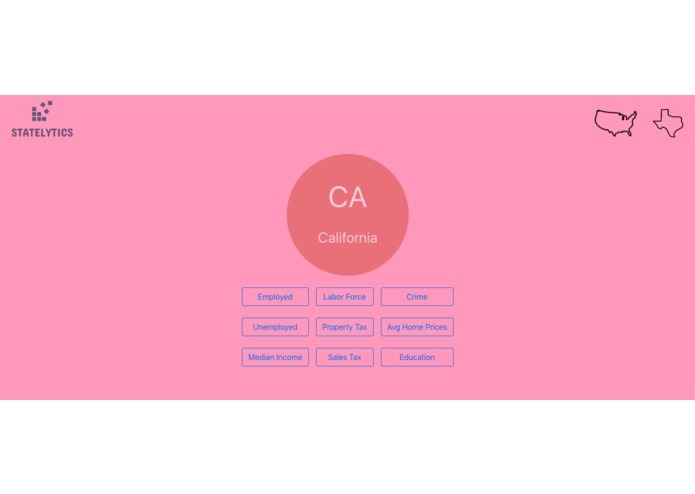 Built using React.js, d3.js, Firebase, node.js, and Git. Designing an appealing frontend and effectively displaying complex datasets. Deploying the application using Firebase and succeeding in delivering a comprehensive data analytics tool. 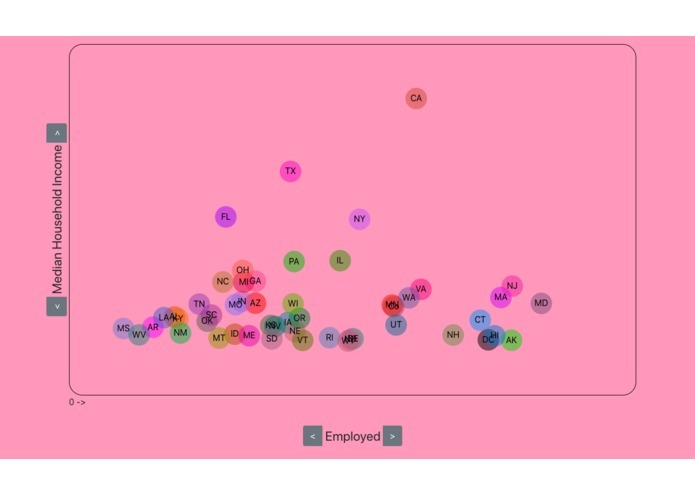 Improved React skills and learned how to use d3.js for data visualization. Add more datasets and more utility and data comparisons to the app.